The Cherry Creek Arts Festival loves to feature the works of 250 international visual artists, but art is more than paint on a canvas – it includes any creative expression. This year, we are excited to feature musical performances, demonstrations, pop-up performances and more. Over the 4th of July weekend, we invite you to get lost in the music. Kick off your weekend on July 1 at 7 p.m. on Clayton Street, with a performance by Colorado-based “Use the Sun” band, winner of Mary Louise Lee’s Bringing Back the Arts Music Competition. Then, throughout the Festival weekend, visit the Janus Main Stage and Blue Moon Beer Garden on Fillmore to enjoy music performances by the following artists. On Saturday, July 2 and Sunday, July 3 from 8 p.m. to 10 p.m., make it back to the Janus Main Stage and Blue Moon Beer Garden for Festival Nights. Saturday will feature a performance by Taylor Scott Band, and Sunday will feature a performance by the Mary Louise Lee Band. On Saturday, get in touch with your inner writer as you join Lighthouse Writers “Poetrees” at the Janus Art Experience tent. Then, on Sunday, show your true artistic colors as you watch a painting demonstration by 2016 poster artist, Lynn Whipple. Did you experience the Chandelier Harp at CherryArts Festival at Stanley last year? If you didn’t, now you can. Janus, Festival sponsor, will feature the interactive light, sound and motion sculpture created by Boulder-based artist, Jen Lewin, all weekend long on the corner of Detroit and 2nd. For the first year, Arrow Electronics will partner with the Handsome Little Devils to provide surprise onsite activations throughout the Festival weekend. These spontaneous mobile performances will pop up all over the site to delight patrons and will disappear as quickly as they appear. 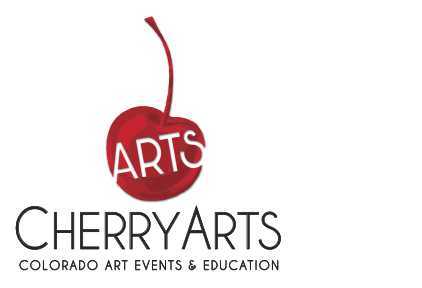 There are SO many things for you and your family to enjoy at the Cherry Creek Arts Festival during the 4th of July weekend. We can’t wait to watch you experience it all…Visit cherryarts.org for a full list of live music, visual performances and demonstrations.